"Azzura" is a 96' Jongert S/Y which was originally launched in 1998. 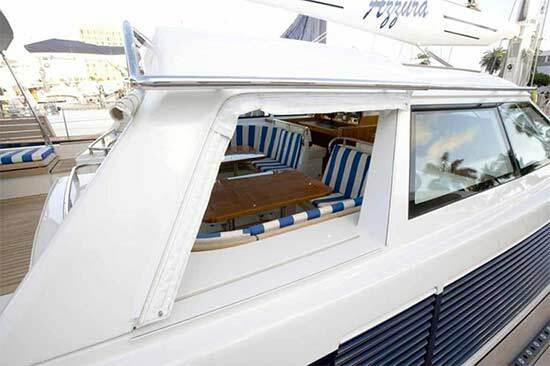 She is a Doug Peterson design and is famous for her shallow draft with board up and hydraulic retracting coach roof. Her original owner and captain have been maintaining her since new and no expense has been spared. In 2007 "Azzura" returned to the Jongert factory for an extensive refit which was meant to return her to original condition. The work included a complete new teak deck, new rigging, new LPU paint job, new generators, as well as servicing and updates to all systems; and even a complete scrubbing of all tanks which were then sandblasted and re-coated. Since then she has been continually updated and is in bristol condition. Jongert does an exceptional job of balancing aesthetics and functionality. 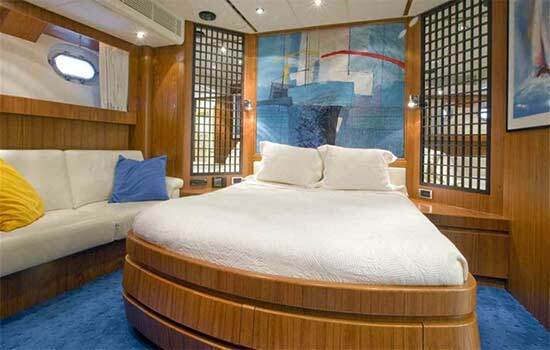 Everything on the yacht speaks to luxurious living at the same time is practical for yacht operation and in keeping with good yacht husbandry. 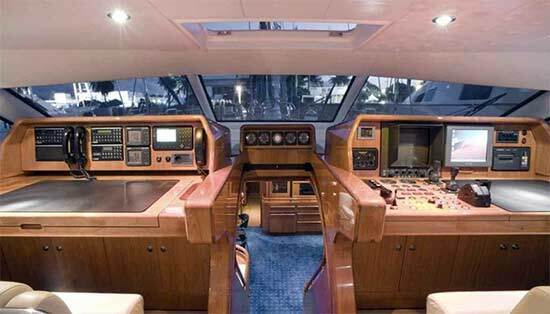 The center piece of the yacht on deck, is the entertainment cockpit and inside steering station located amidships. The space is covered by a retractable coach roof which allows for covered dining or can be opened and used as a sundeck/lounging area. 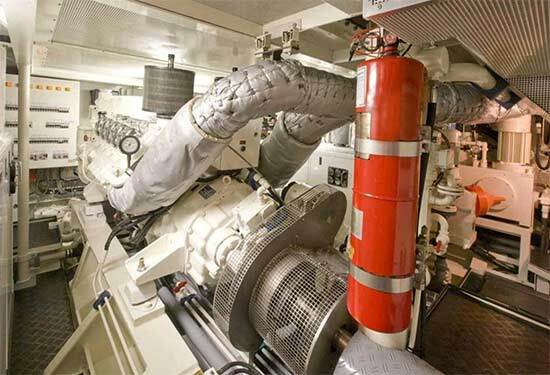 The steering station which is forward to starboard and nav desk to port, remain covered at all times. 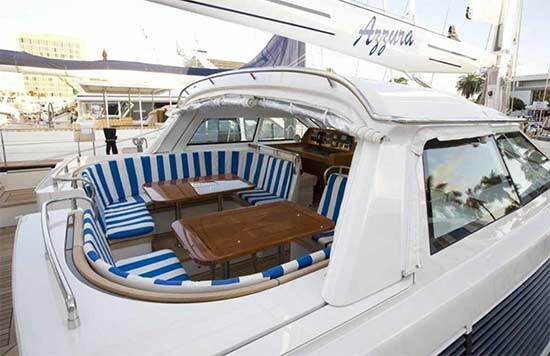 Next aft is the sailing cockpit with helm and large u-shaped seating area. Plenty of room to sit in comfort underway and it makes another wonderful lounging space at anchor. 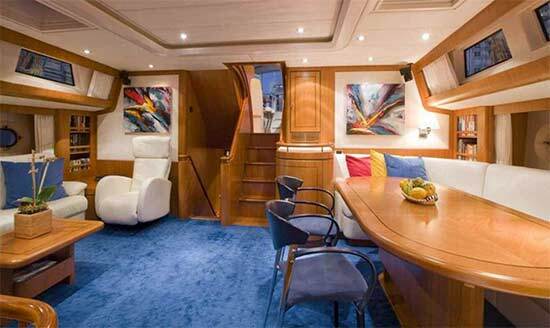 Below decks "Azzura" can accommodate 6 guests in 3 cabins in the aft section. A full beam master is aft and a centerline passageway leads forward to two double staterooms port and starboard; all with ensuites. 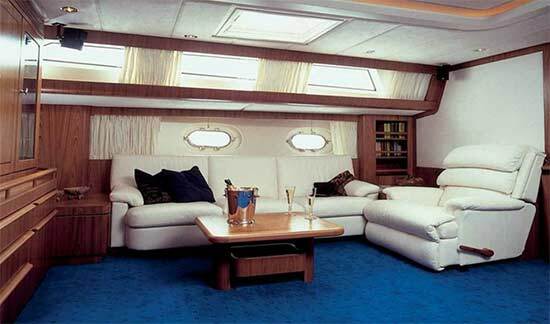 The saloon has a large dinette to port with settee and lounge seating to starboard. The space is very open and airy with large overhead hatches, deadlights in the coach roof and portlights in the hull giving light to the space. The joinery work is outstanding with details everywhere you look. The galley is forward to starboard with crew mess to port. Next forward are two crew cabins port and starboard each with ensuites. Jongert is so well know for their fit and finish details it tends to overshadow the thoughtful sturdy construction underneath. 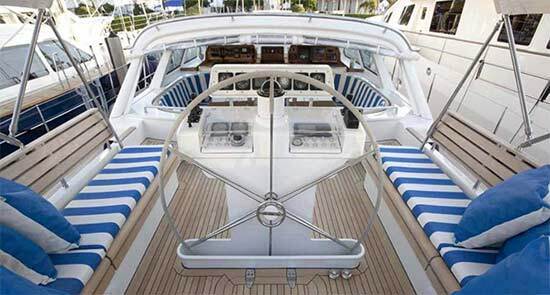 Hull and deck are aluminum construction and all machinery and systems are first class. She has been kept in-class and has a Lloyd’s 100A1 classification. "Azzura" is certainly a world class yacht capable of sailing in extreme conditions wherever. Rarely will you find a yacht so loved and well cared for. 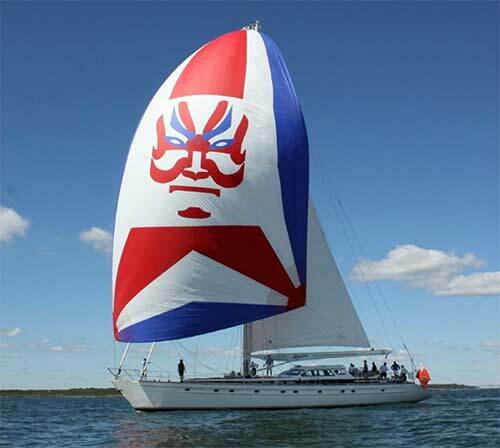 If you are looking for a turnkey yachting experience this is it!